A restaurant, a bar/lounge, and a snack bar/deli are available at this smoke-free hotel. Free WiFi in public areas and free self parking are also provided. Additionally, massage/treatment rooms, conference space, and dry cleaning are onsite. All 180 rooms provide kitchens with refrigerators, plus free WiFi and LCD TVs with cable channels. Guests will also find coffee makers, free newspapers, and showers. Dining options at the hotel include a restaurant and a snack bar/deli. A bar/lounge is on site where guests can unwind with a drink. Wireless Internet access is complimentary. This business-friendly hotel also offers tour/ticket assistance, a vending machine, and complimentary newspapers in the lobby. Limited complimentary onsite parking is available on a first-come, first-served basis. 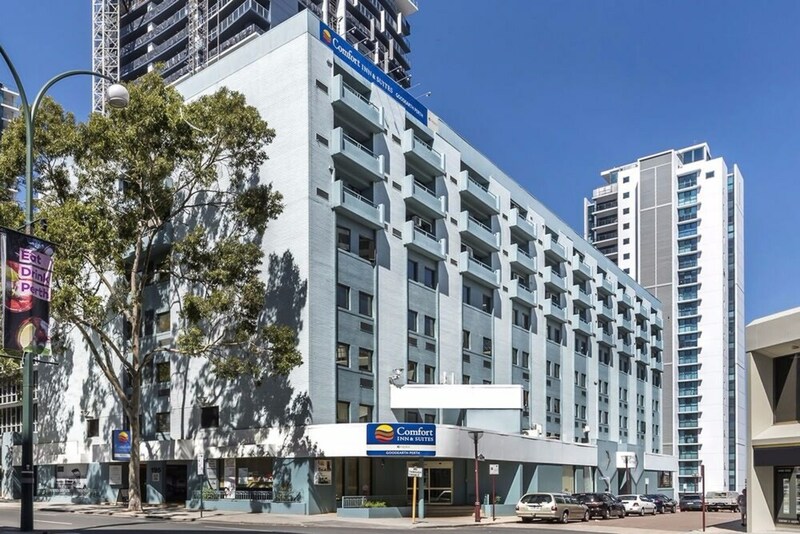 Comfort Inn & Suites Goodearth Perth - formerly Goodearth is a smoke-free property.